St.David’s Hall, Cardiff witnessed Gary Numan fronting a 5 piece group who look like a team of desert warriors. This quintet linked with the 15 person Skaparis Orchestra to form a union of 20 active musical bodies on stage. To add to which eight tonnes of lighting equipment confirm that this show has taken military planning in order to execute its majesty. An adoring audience soaked up a unique vibe as their hero proves that he is of the past, present and ultimately, the future! However, a more senior set of Numanoids salivated over those mighty moments of the 70’s and 80’s and that meant: Metal,Films, Down in the Park, This Wreckage and the almighty anthem: Are Friends Electric? Meanwhile, other career highlights across the decades were explored e.g. Jagged. Electronic enterprise, as well as industrial intelligence, provided the keys to charge a successful slot in the Welsh capital – and, the addition of the orchestra certainly heighten both the delivery and drama. Numan dances like a dervish and an amazing backdrop of ever-changing images added to an often eery atmosphere. A Numan night is a time for worship and the love exchanged between the punters and performers was quite evident. Numan was seemingly humbled by his fans and he was most grateful to this faithful following. 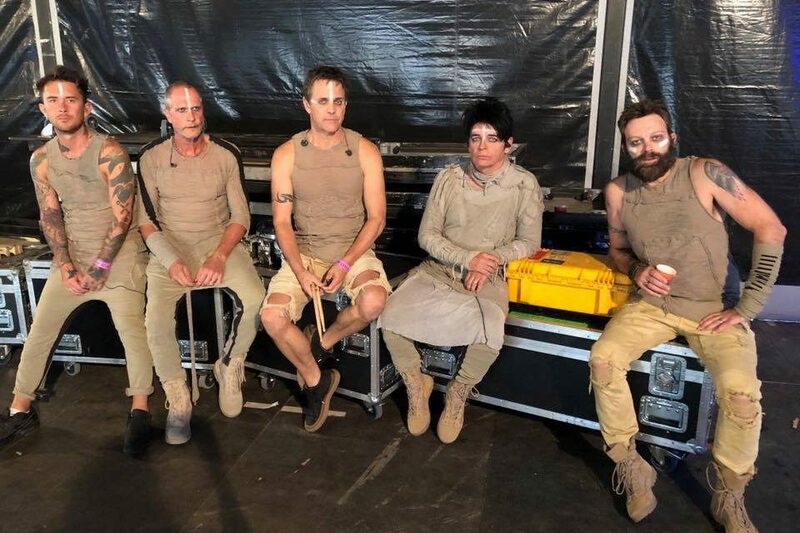 However, this was not nostalgia because Numan remains a valid force – and, on leaving those in attendance are also looking ahead because as with their hero, it is all about tomorrow. 8 out of 10 Cats star for Cardiff.